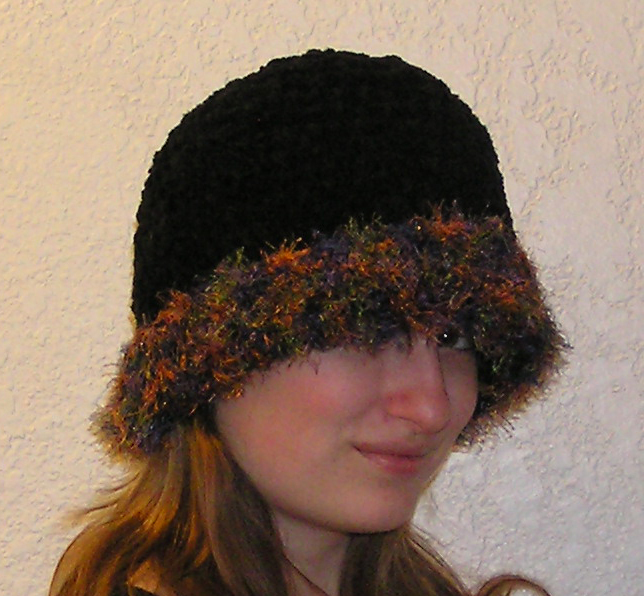 The Midnight Sky is made with a bulky chenille yarn. 91% acrylic and 9% rayon. Trimmed with an eyelash yarn. 100% polyester.